Remember months ago we were all going Gaga over the new Sass&bide mud cloth inspired collection ? 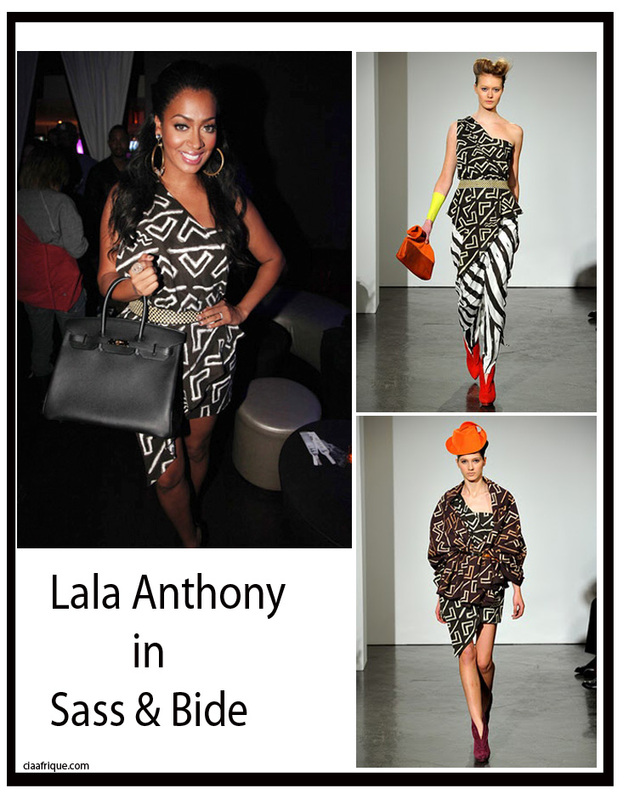 I had yet to see a celeb rocking one of the pieces from the collection until 2 days ago when Lala Anthony wore this dress to attend the Bottles and Strikes in New York. The dress looks fab on her. We've noticed that a lot of celebs are wearing African print however few of them wore designs made by African designers. I am wondering why ? Are our African designers in the diaspora putting themselve out there to be noticed ? Big Question.. Anyways if you like what Lala is wearing Malian fashion designer Mariah Bocoum makes beautiful mud cloth dresses.